My daughter loved the splash park, it was walking distance to the beach and supermarkets and the food on the property was actually quite good. What's not to like about this place! 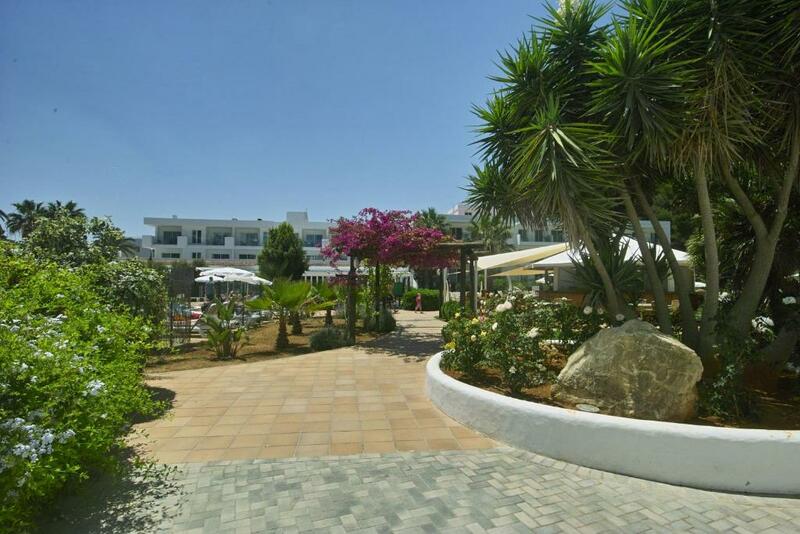 Excellent location, there is a nice, secluded beach right outside the hotel. There are 4-5 restaurants and a few shops - all you need for a small location which isn't too touristy. 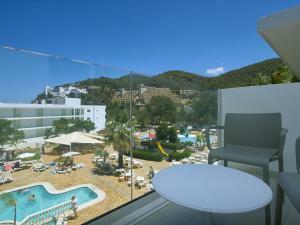 There are 2 pools, a splash park for kids and the rooms are always clean and comfortable. This was my second visit and i will be going back for a third visit soon! 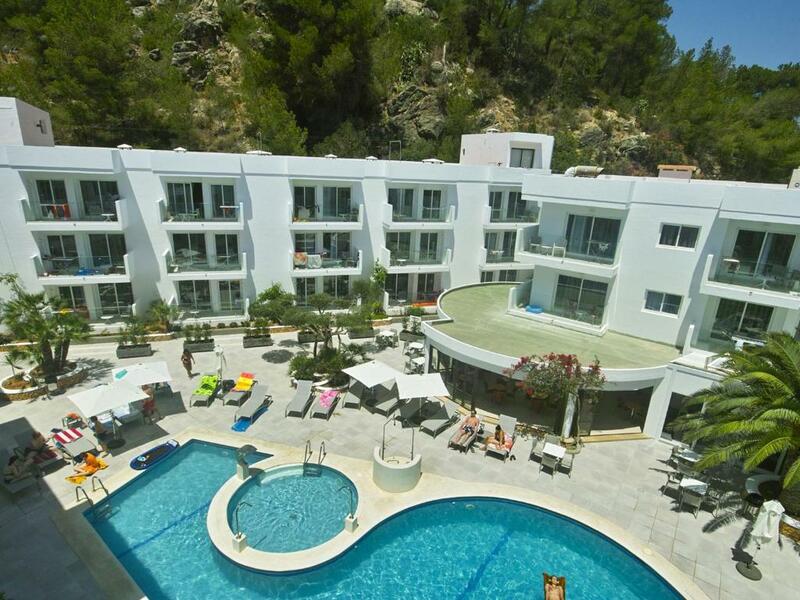 This hotel is a must to stay at when visiting Ibiza.It was mainly older couples and families with small children. The pools were perfect due to the hotel having different pools for adults/kids and mixed. The food was very nice and had loads of choice. The location is amazing with the beach just outside the Balansat resort and loads of different restaurants and shops as well. If you wanted to just stay in that location for a week then you could do. Taxi’s into playa den bossa/ San Antonio/ Ibiza town we’re roughly around €40 each way. Overall a really nice stay, I would highly recommend The Balansat to anyone. The room was very clean and spacious! The near by beach was lovely as well. I travelled with my mum and my two children (7 & 9). I booked what I thought was a one bedroom apartment but we were given a two bedroom apartment with two bathrooms also. We didn't have a view but I didn't mind that at all as the apartment was absolutely stunning and so spacious. 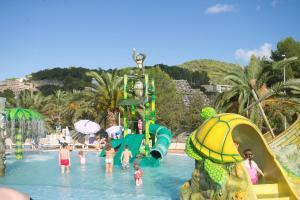 Great water park for children, snack bar next to the pools, good coctails for adults. And if you are tired of the resort, you just go out to the small beach and great fish-restaurants next by. Lock in a great price for Balansat Resort – rated 8.3 by recent guests! Surrounded by pine forest, this apartment complex is next to the beach in Puerto de Sant Miquel, a few miles from the village of Sant Miquel. The property has a 24-hour front desk. This family-friendly apartment complex offers 2 outdoor pools and a children's pool with slides. There are entertaining shows for all ages. The snack bar is open all day and there is a spectacular show-cooking buffet. In the surroundings you will find scuba-diving, windsurfing and water skiing down at the beach. 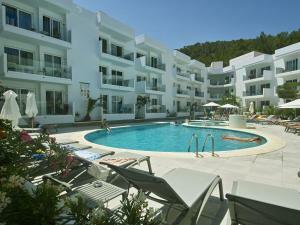 There are shops, restaurants and bars nearby, and Ibiza’s night life is less than half an hour away by car. The beach is sandy and its shallow waters mean it is very suitable for families. When would you like to stay at Balansat Resort? Please note that extra beds cannot be added to this apartment. Air-conditioned apartment with a sofa bed and TV in the living room. There is also a kitchen and bathroom. Construido con el esfuerzo de unos jóvenes emprendedores hace ya varios años, han conseguido asentar este establecimiento en la amplia oferta hotelera de la isla, ofreciendo actualmente un lugar donde relajarse y disfrutar de la playa, tanto a parejas que buscan tranquilidad como a familias con niños. Complejo situado en el playa del Puerto de San Miguel, en el norte de la isla, cerca de calas y playas de agua cristalina. House Rules Balansat Resort takes special requests – add in the next step! Balansat Resort accepts these cards and reserves the right to temporarily hold an amount prior to arrival. Please note that extra guests can only be accommodated in the Superior Apartment, and subject to a surcharge. Please note that children older than 12 years of age are considered adults. Please inform Balansat Resort of your expected arrival time in advance. You can use the Special Requests box when booking, or contact the property directly using the contact details in your confirmation. Plastic cups in all bars! Understandable at the pool bar but drinking beer from a plastic cup at the main indoor bar was annoying. Beds were not very comfy, was nice to get home to a comfy bed. The only slight thing i could say is that the kitchen facilities could do with being updated. Old kettle and utensils and fridge but that is all! The main thing I didn't really like is the kitchen utensils, they were in a very bad condition. They could buy more new utensils, otherwise you can't really use the kitchen much. Also, it would be nice to have a coffee machine. It is well located, next to a nice beach. The staff was very nice and the place is clean and overall in a good condition. There is no parking but you can park for free on the street. I would recommend it if you are looking for a quiet place to stay. There were a few small things that I didn’t like which some people might think is being slightly harsh. The bar could have stayed open for longer. Some of the bar team didn’t look so happy when we was ordering. The restaurant area should have an adults only area. Screaming kids can be slightly annoying when trying to talk to your girlfriend. Not enough towels for the rooms. Good facility, awesome place, beautiful beach. Quite a specific point but I was Unable to rent bikes in the hotel, I ended up renting from a helpful neighbouring hotel . An average place for massive cheap tourism. The beach next to the properly is very beautiful. The bacon and sausage weren't to my taste but again I didn't mind too much as there was loads of other tasty food.